12/24h Start DelayWith the 24h Start Delay, you can enjoy even more flexibility. 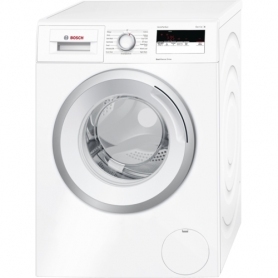 You can preset the required time for the washing machine program to start. In this way, you can be absolutely certain that your washing will be finished exactly when you want. ActiveWaterThe automatic load adjustment recognises the load condition in three steps and ensures that only the amount of electricity and water required for that load is used. The continuous automatic load adjustment in appliances with ActiveWater Water Management achieves even more accurate results. AntiVibration sidewallThe new design of the side walls is not only eye catching: the system also provides more stability and reduces vibration. 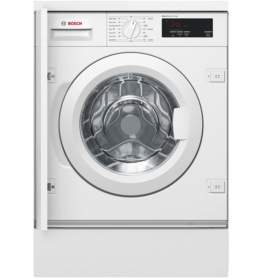 The enhanced insulation also regulates noise levels, making Bosch Logixx and Avantixx very quiet even during the spin cycle.